The poppy plant is an anciently cultivated plant. One of the earliest references to the poppy exists in Homer's Iliad. 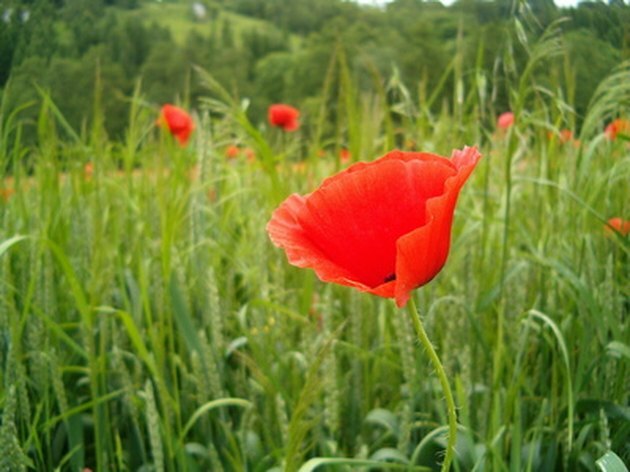 Most famously, poppy plants are known for the production of opium. The illegality of opium has made it difficult for farmers in Europe to cultivate poppy plants for culinary purposes. Interestingly, despite the fear and restrictions, the climate in Western Europe would make it all but impossible to produce the alkaloids needed for the opium to be at all potent, according to the writers of the Spice Pages. Approach the flower you wish to identify. Poppy plants (Papaveraceae) are a part of the Dicotyledeneae class of plants, according to Roger Phillips and Martyn Rix, authors of "The Botanical Garden." They come in a variety of colors, such as red, yellow and orange. 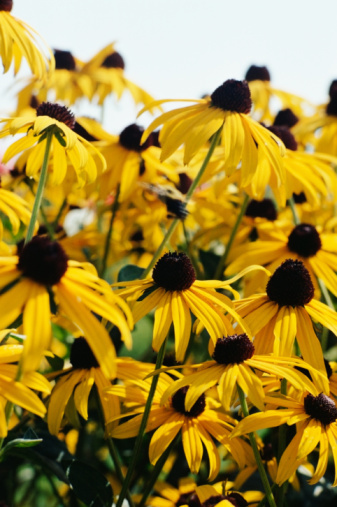 Is the flower you're examining red, yellow or orange? If so you should look closer and examine the flower's other characteristics. Count the number of petals on your flower. All members of the poppy family have regular flowers with groups of four or six petals, according to Phillips and Rix. If this describes your flower, it is likely that you are looking at a poppy. Take out a magnifying glass. Poppies all have two to three separate sepals, according to Phillips and Rix. Look at the base of the flower petals with your magnifying glass and count the number of sepals your flower has. Look at the leaves of your flower. Members of the Papaveraceae family have hairy leaves, according to Philips and Rix. If your flower has all these qualities, it is most likely a poppy plant. Examine your flower more closely to determine what kind of poppy you are looking at. According to Phillips and Rix, members of the Papaver genius are generally red or orange; the Platystemon poppies are usually yellow or white. Count the number of sepals on you poppy flower. Phillips and Rix claim that Papaver poppies have two sepals and Platystemon poppies have three sepals. Take your magnifying glass and count the number of stamens your poppy has. Stamens are the male parts of the flower; they are made up of the filaments that stick up from the center of the flower and the sacs (anthers) of pollen. Papaver and Platystemon poppies have many stamens. Platystemon's filaments are flat, while the Papaver's are round, according to Phillips and Rix.